Of course, the old standbys are always a good time (looking at you Buffalo Chicken Dip, Chili and 7-Layer Dip! ), but if you’re anything like me, you love trying something new on that cold, snowy Sunday… and the game is just a convenient reason to go a little crazier than usual! Over the years, Luke and I have created a ton of really fun, party worthy eats whether it’s been just for the two of us, we’re having a few friends over or we’re heading out to a friends. The twelve recipes I’m featuring here are worthy of any or all of those categories. These are perfect eats for any game day, they’re a touch different from the usual suspects, and I promise you (and your friends!) are going to love them! 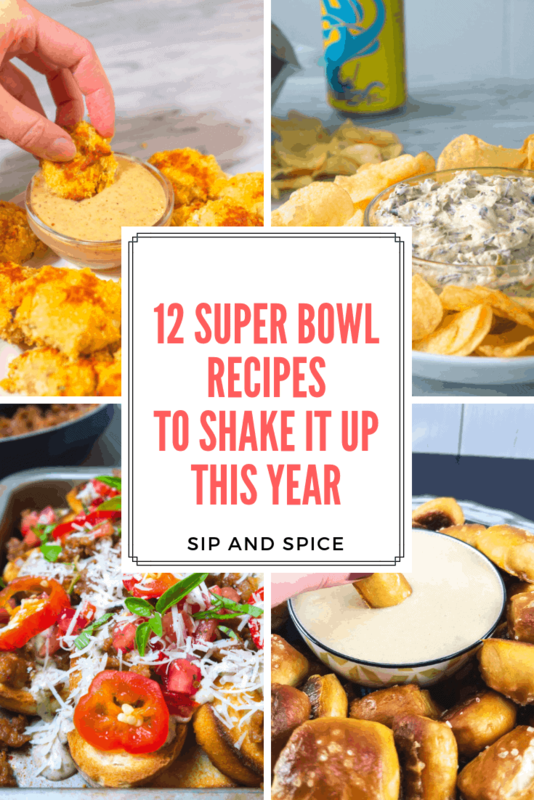 12 Super Bowl Recipes to Change It Up This Year That You’re Going to Love! This queso is CRAZY delicious.. and vegan! That’s right-cheesy goodness packed with (soy) chorizo and onions and it’s all plant-based. Your guests will never believe that this is healthy! These pillowy, crunchy bites of heaven are guaranteed to disappear in minutes! Perfect for if you’re not serving a crowd (since they have to be made one by one) and you’re looking for something fun, hand-held and super filling! Every party needs a good onion dip and this one is GOOD. A grown-up version of the old party classic! THE classic game day eat made healthier and easier by baking in the oven, plus they’re perfect for a couple or a crowd! Switch up your usual nacho plate for this killer Italian version that you’re going to love! Who doesn’t love a good fry/sauce combo?! These Sweet Potato Fries are crispy, flavorful and packed with nutrients! 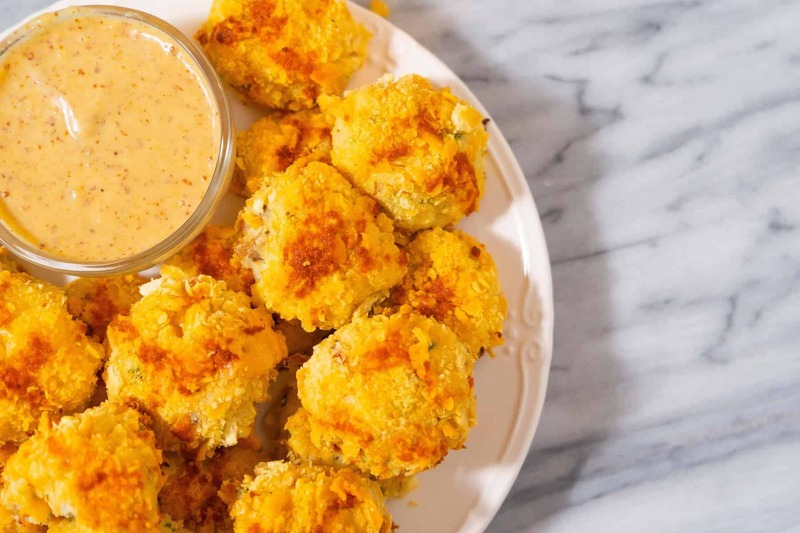 Pretzel bites are the perfect scoop for ooey-gooey beer cheese! This recipe is perfect for feeding a whole bunch of people or making and bringing with you to the party! Love a good hummus dip at a party to balance out all the cheesy things and you can serve this with bagel chips, but veggie sticks will you an even healthier option! Every good party needs a dessert option! This cookie is super quick to make and feeds a crowd. Change up the usual cookie dough dips with this Nutella inspired, protein-packed goodie! Hope this helps give you some fun ideas of new recipes to try for the Super Bowl this year! Go sports!